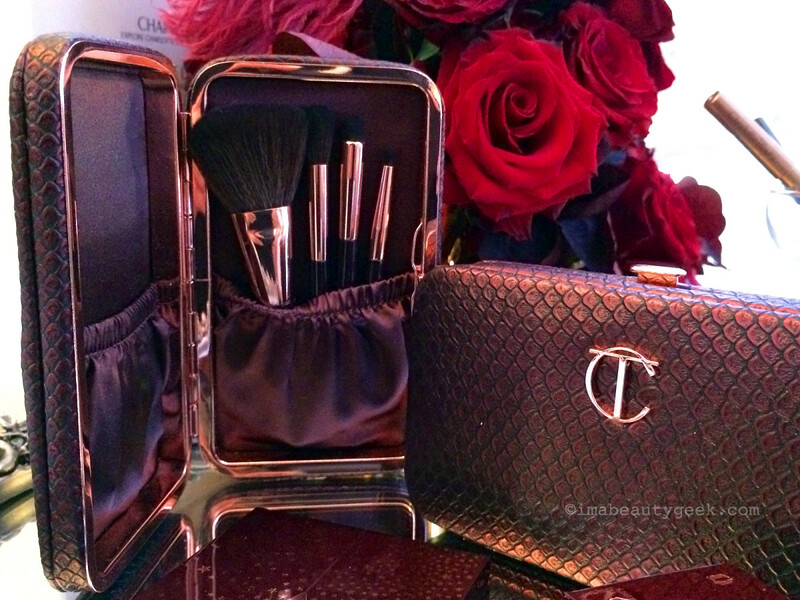 Look what's coming from the celebrity makeup artist's Legendary Parties collection! 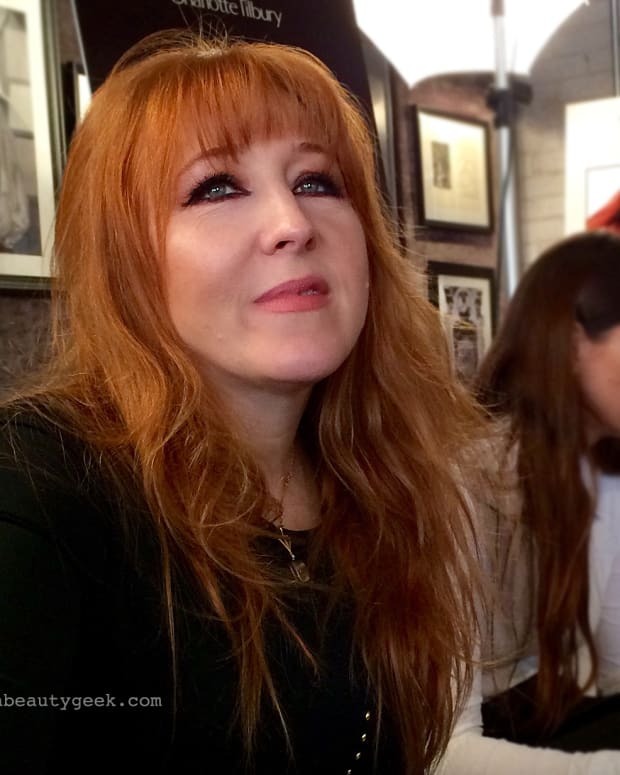 Mark October in your calendars, ladies – sprinkling Charlotte Tilbury beauty fairy dust over friends, family and yourself (of course!) this gift-giving season is going to be very easy indeed. 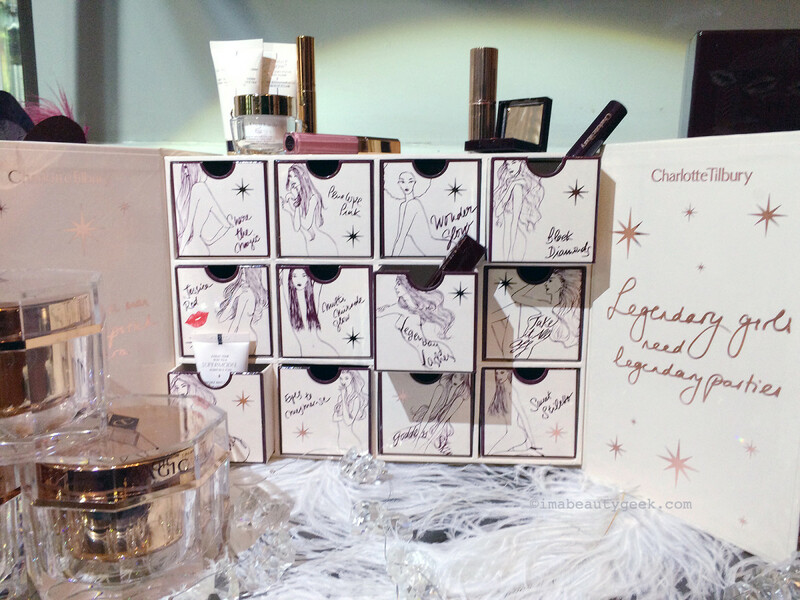 I&apos;ve got sneak-peek shots of Charlotte&apos;s holiday 2016 Legendary Parties collection, which ranges from the sweetest mini lipstick charms to a show-stopping beauty advent calendar box. I snapped all these with my iPhone 5S at Charlotte&apos;s preview event in NYC this past week. I do plan to post better images when I can, but for a first look, these shots at least give you an idea of what to expect. Update: official images now posted here. The Legendary Parties holiday collection launches this October. 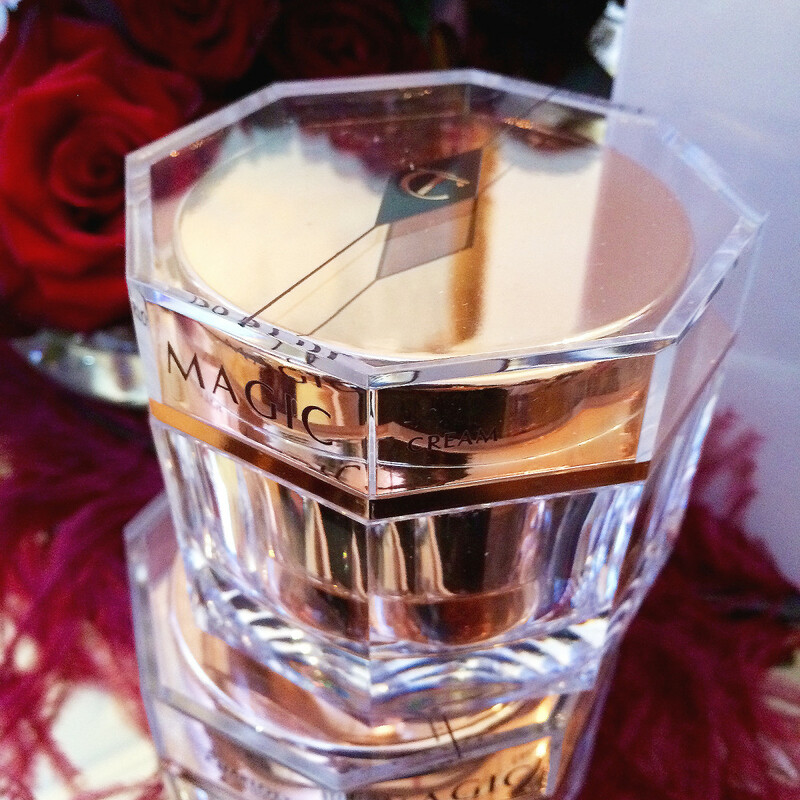 Fans of Charlotte Tilbury&apos;s Magic Cream can really stock up with an enormous limited-edition jar three times the size of the regular pot. This one contains 150 mL for $320 CAd and $255 USd. 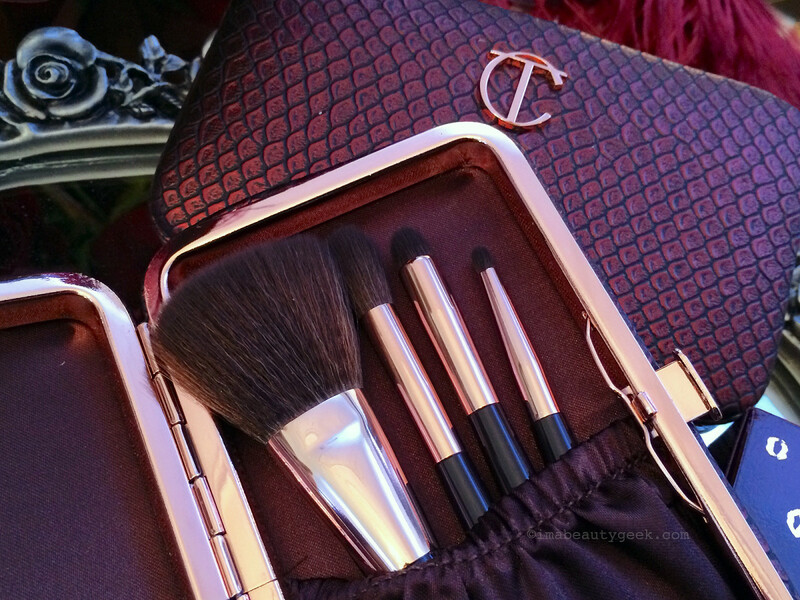 Charlotte says her celebrity clients have been clamouring for a small brush kit for touch-ups, so she&apos;s done this little Magical Mini Brush Set ($75 CAd and $65 USd) that includes what seems to be a powder brush, fluffy tapered shadow brush, small shadow-smudge brush and a wee brush for detail work. The components in the Charlotte Tilbury holiday 2016 Dreamy Look in a Clutch deliver the stunning look in the campaign images (one&apos;s on the wall behind Charlotte in the opening shot). The Dreamy Look in a Clutch ($150 CAd and $128 USd) consists of a Charlotte Tilbury Legendary Muse Luxury Palette of glow-enhancing eyeshadows; mini Legendary Lashes Mascara; mini Legendary Eye Liner in Bedroom Black; mini Legendary Lip Liner in Bitten Kiss; a lipstick in Secret Salma from the Matte Revolution Hot Lips collection; and a Tilbury tutorial on a USB key. 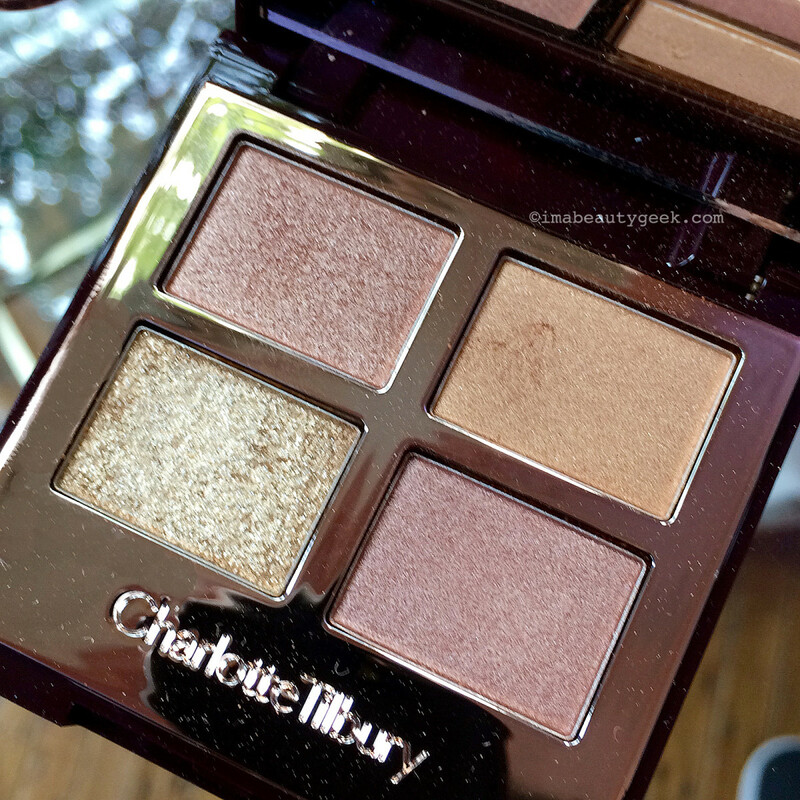 Closer look at the Charlotte Tilbury Legendary Muse Luxury Palette of eyeshadow from the Dreamy Look in a Clutch holiday collection. In more natural light: the Legendary Muse eyeshadow compact ($64 CAd and $52 USd). 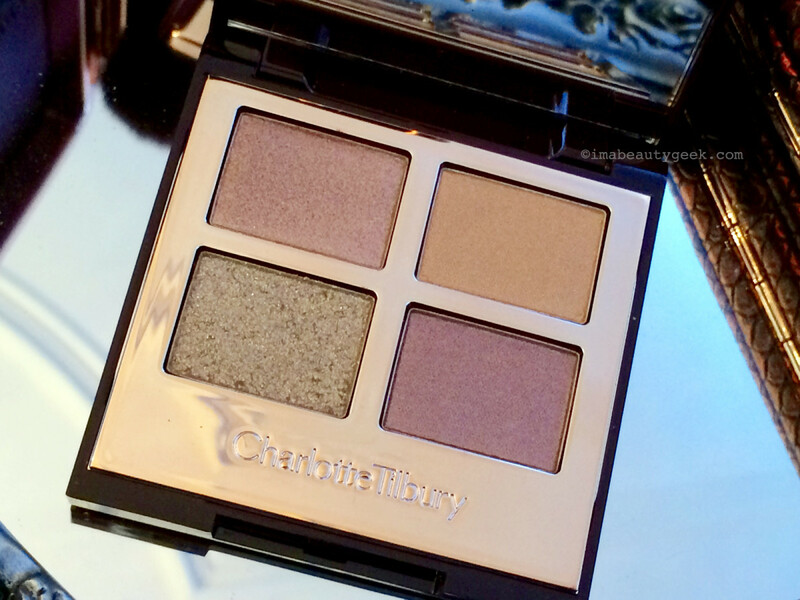 Happy news: if you&apos;re already #grabbyhands over the upcoming Charlotte Tilbury Legendary Muse eyeshadow palette ($64 CAd and $52 USd), it&apos;ll also be available separately from the Dream in a Clutch kit. We girls are suckers for mini makeup, aren&apos;t we? I&apos;m totally into this little trio of Matte Revolution Mini Lipstick Charms ($55 CAd and $39 USd) you can give in its tiny box as a gift or hang individually on your Christmas tree. 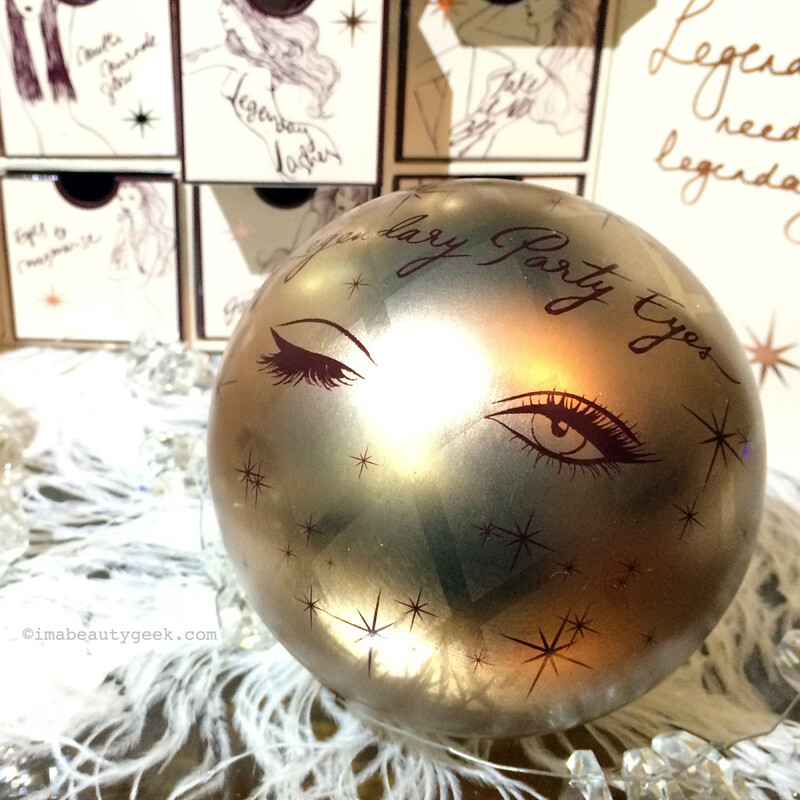 The cheeky Charlotte Tilbury Legendary Party Eyes Kit ($32 CAd and $27 USd) oversized ball ornament houses a mini Legendary Lashes Mascara and a Rock&apos;n&apos;Khol pencil, and doubles as a conversation-piece tree decoration. This year&apos;s makeup advent calendar from Charlotte Tilbury is an adorable box of little drawers stocked with mini skincare and makeup must-haves. Charlotte&apos;s World of Legendary Parties Advent Calendar ($250 CAd and $200 USd) offers up a mini pot of Magic Cream, travel-size tubes of Take it All Off, Miracle Glow, Wonder Glow, Goddess Skin and Supermodel Body, and wee versions of Eyes to Mesmerize, Legendary Lashes, Penelope Pink and Jessica Red lipsticks, and Sweet Stiletto lip lacquer. 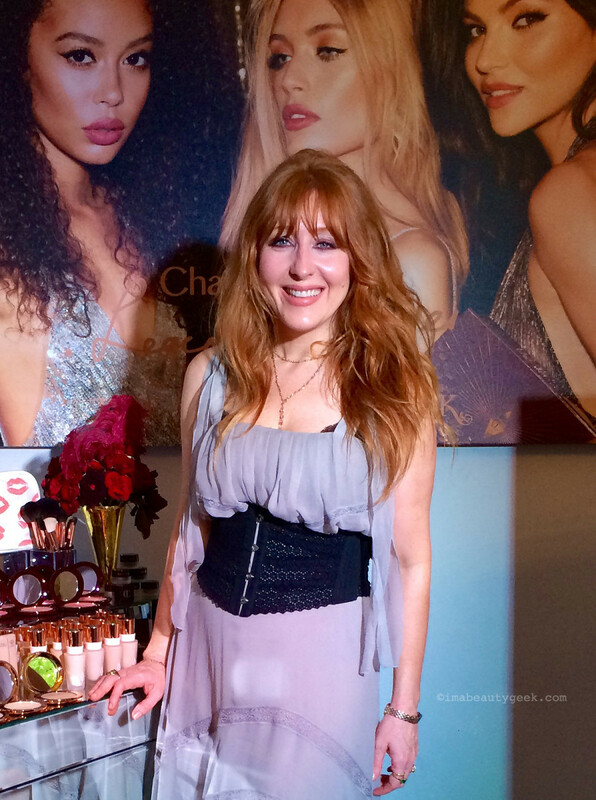 Charlotte Tilbury at the NYC preview of her holiday 2016 Legendary Parties collection. What&apos;s tempting you already? 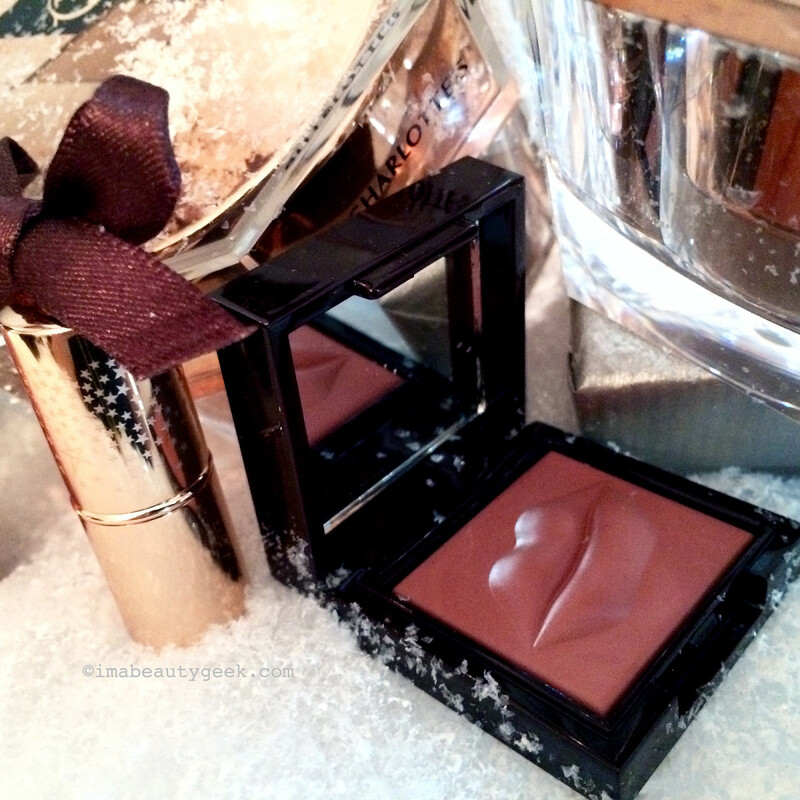 Did you get anything Charlotte Tilbury as a gift last year? 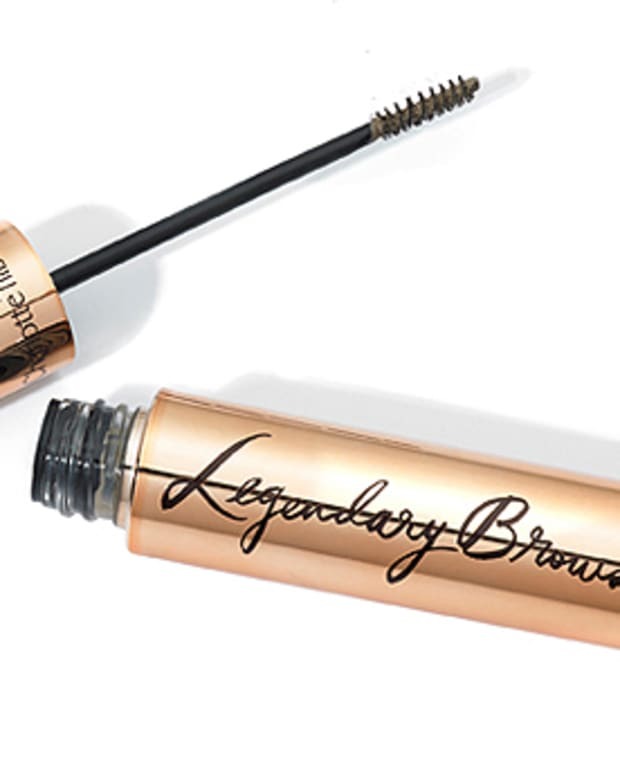 Oh, and has anyone tried the Legendary Brows tinted eyebrow gel yet? ?